A Year of Bitter Partisanship, How Did We Get Here? Home > Public Square > A Year of Bitter Partisanship, How Did We Get Here? 2017 was a year of particularly bitter partisanship, with white Evangelicals and Pentecostals thought to be particularly supportive of the President. This perception of support, prompted a progressive Church of England Bishop to call out Born-Again Christians for their support of the President. Today I want to look at how deep is this support and what is its nature? Tomorrow I’ll post on where should Christians go from here in light of God’s Kingdom. Yes, undoubtedly the President has his share of prominent advisors, which include Franklin Graham, Jerry Falwell Jr., Paula White, and a host of leaders who weren’t necessarily broadly known beyond their own spheres and beyond this Presidency. Respected but not household names. There has always been a divide between Evangelical and Pentecostal leaders and pew goers. This is true and natural in any community, but also is true of white Evangelicals and Pentecostals. There is also a significant difference between urban/suburban and rural church goers in terms of church culture but also in terms of their politics and interests. Many megachurches (a trend that helps define and epitomize the white Evangelical and Pentecostal world), tend to be in the suburbs and around significant cities. 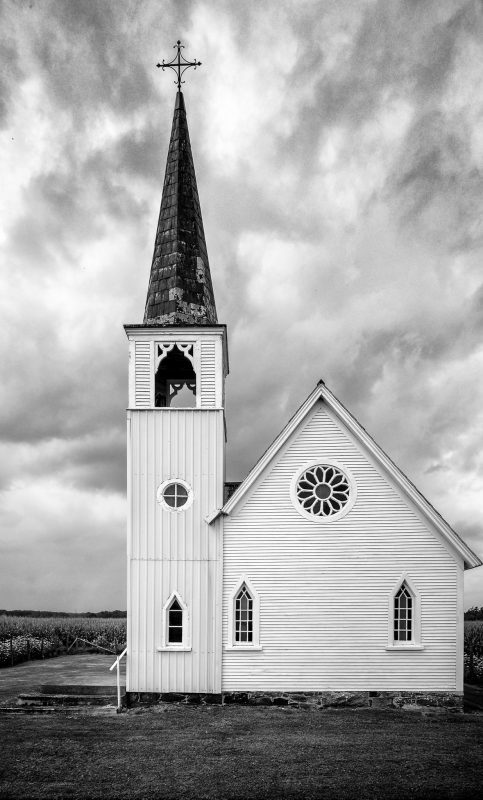 Some rural areas might have a megachurch, but that’s more the exception than the rule. Evan while megachurches tend to cluster around major population centers, generally speaking any state will have a greater number of its white Evangelical and Pentecostal population in rural areas, rather than around large cities. In the 2016 GOP primary, white Evangelicals and Pentecostals rural pew goers seem fairly evenly split among Cruz and Trump, even while Evangelical and Pentecostal leaders were more favorably disposed to Cruz in the primary. The notable exception being suburban and urban white Evangelicals and Pentecostals who throughout the early primary voted for Rubio. Both Cruz and Trump as candidates were outside of the GOP establishment for that time. Both were calling for a more radical change and I would submit both were capturing the attention of rural white Evangelicals and Pentecostals, because they channeled a deep frustration with the current state of politics, immigration, and the economy. The frustration around politics and the economy probably makes sense given both the wide reports on the stagnation of rural economies and some of the politics that tends to dominate rural areas. Being primaried from the right was a trend in conservative American politics long before Trump became a candidate. Rural conservative news sources are dominated by radio, which often comes in crystal clear while other stations barely come in at all. The concern around immigration seems to be a mixture of long standing rhetoric and sentiments towards Hispanics, but had an additional terror oriented twist both in 2012 and 2016. Here’s a story from than Governor Romney’s debate in 2012 in which he took a particularly hard stance on terror and immigration as compared to the rest of the GOP field. This mixture and repeated framing allows someone like Cruz or Trump to easily mix and match in these two areas, creating a dangerous mix that voters would already feel comfortable with. Cruz was made a very notable figure among rural conservative voters when he helped shutdown the government in 2013. Here’s Cruz on his first appearance with Rush Limbaugh in June of 2013 and again in September when he filibustered on the Senate floor. A lot of 2016s themes can be heard in these interviews. As the GOP primary ended and the 2016 general election took hold white Evangelicals and Pentecostal pew goers were very supportive of Trump. A major reason cited was the same for most GOP voters in 2016, the economy. Undoubtedly other narratives are also alive and well in the white Evangelical and Pentecostal world, but that sense of moral character needing to be primary has slowly ebbed away from the pew goer, and while not true of every white Evangelical and Pentecostal, it is certainly true among some who see politics as already corrupt. As the year has worn on white Evangelical and Pentecostal support for President Trump stands at about 61% which is down from 78% in February of 2017. Support from his advisor group isn’t significantly down, but many average pastors and Bishops have expressed public dismay throughout the year and have joined at various points in some of the concerns around refugees and immigration in particular. Many of these pastors don’t have household recognition, but they haven’t been absent or silent. And while pew goers may not be articulating the same concerns, there is a noticeable uptick among those who are ready to break from the President and also an uptick among those who have doubled down. Church goers themselves are likely disaffected based on a suburban/urban and rural divide, and overall White Evangelical and Pentecostal support is probably a bit mixed. The biggest focus on hypocrisy is around those prominent advisors and supporters who have become more partisan of the President as the year has gone on and have also publicly changed their moral expectations of civic leaders. I don’t expect that to significantly change, and I would guess that helps drive the story, unless a prominent leader or trend emerges that counters that narrative. And while there are some notable movements and leaders and names against this trend, as of yet it hasn’t fully crystalized towards a household name. And like any movement it needs touch points to rally around, and as of yet that set of people hasn’t emerged from the white Evangelical and Pentecostal worlds. Of course the Evangelical and Pentecostal world isn’t simply a white world. Several Black, Hispanic, and Asian American Evangelicals and Pentecostals have had different reactions in 2017. Black church goers have registered their frustration with the current cultural and political climate and significantly helped keep Roy Moore out of the Congress in Alabama. We haven’t had an election result where Hispanic voters were a significant part of the electorate, but we have heard from church goers and leaders and there is a very strong and negative view of the President. Leaders from the Hispanic, Asian American, and Black evangelical world have consistently spoken out and gotten involved in 2017. Tomorrow I’ll take a look at a better way forward for Christians.